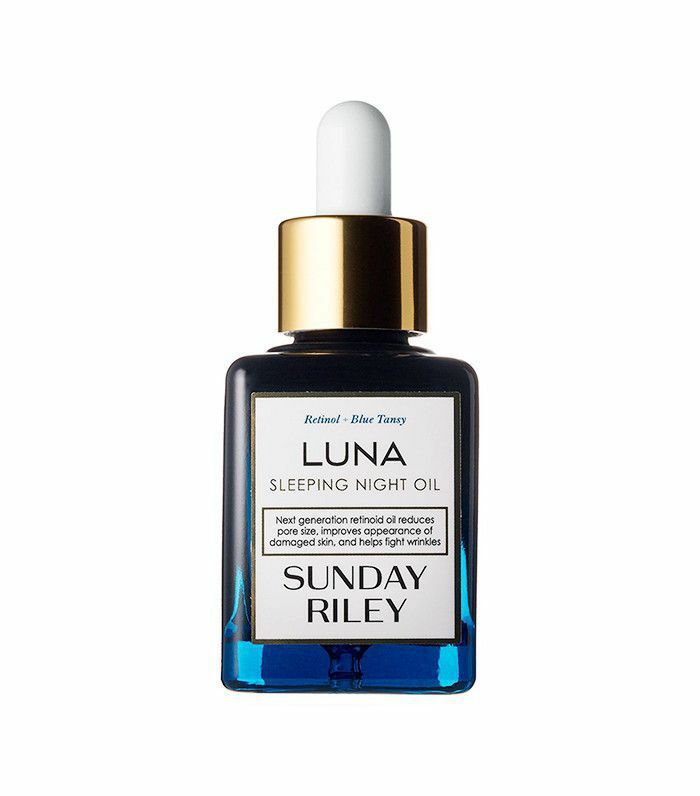 While we all know we shouldn't sleep with makeup on (seriously, that's Skincare 101), there are nights where exhaustion and laziness get the best of us. Such is the case in my life—more specifically, the last few weeks. The routine was always the same: I'd leave the office and head to a work event where, along with new product launches and information, cocktails were passed around like party favors. After one or two (or three or four), I head home with a buzz and a bevy of new beauty information. I will wash my face tonight, I chant in my head as if it's my meditation mantra. Then, somewhere between the first and fifth Netflix episodes, I dose off on the couch. When I wake up, it's usually 2 a.m., and there's no way I'm heading to the bathroom before sliding into bed. Sound familiar? Chances are you've done this too. In fact, Alexa Chung confessed to us, "I want to go to bed looking like a babe. I don't want to go to bed with no makeup on." It's cringe-worthy but true. Celebrity makeup artist Charlotte Tilbury spoke a similar sentiment, "If I'm on my own, I won't sleep in it, but my husband has never seen me without makeup. It comes off and goes back on again." After a few breakouts and a week's worth of lackluster skin, I decided to get my act together. I'm a beauty editor, after all. I vowed to be especially obedient about taking my makeup off each night for a week and record the real differences I noticed. Then I spoke with a few dermatologists about the science aspect. Keep reading to find out what happened on my week to skin nirvana (aka doing what I should have been doing all along). Perhaps the most obvious of the lot, but when you go to sleep with makeup on, it makes a mess on your pillow. During sleep, your pillowcase aborbs oil, dirt, germs, and dead skin cells from your face—and that's even when your face is clean. If you go to sleep in your makeup, all the bacteria from the entire day will end up on your pillow. And if you don't wash it, the same thing will happen the next day. It's a vicious cycle that is harmful to both your skin and your white linens. I love Skin Laundry's Sleep Cycle Pillowcase With Silver Ion Technology ($30) because it provides a natural antimicrobial effect to help reduce the presence of harmful bacteria. "Sleeping in your makeup allows all those free radicals on your skin to cause quicker skin aging, leading to more wrinkles even sooner," warns Rachel Nazarian, MD, of Schweiger Dermatology Group. Moreover, this is the time "when the skin is able to repair and restore itself," says Mary DeRolph, an esthetician at La Prairie spa. "It creates new, healthy skin cells during this resting phase. Cleansing is necessary to remove layers of makeup, which prevent normal skin shedding and interfere with the recovery process." "Makeup clogs up those delicate glands around your eyes, triggering styes and other eye infections," Nazarian explains. Gervaise L. Gerstner, MD, adds, "Flakes of mica and minerals from your eye shadow or mascara should never end up in your eyes. But when they've spent time on your lids throughout the night, they're bound to cause some damage." "Occluding skin with makeup leads to a blockage of your pores, triggering the acne-creating cycle. You'll wake up with less pimples if you take the time to wash your face before bed," says Nazarian. Gerstner agrees: "You'll notice a decrease in comedonal acne (a plug of oil and dead skin cells within the hair follicle or pore), which can be exacerbated when makeup is left on overnight." "While you're sleeping and moving around, makeup also moves around and clings to your eyelashes," Nazarian notes. "This leads to more fragile, brittle, broken lashes. Keep them healthy and long by rinsing everything off before you go to bed." This one is perhaps the most visible after a night sans makeup—think puffy eyes and blotchy skin. "Sleeping in your makeup increases inflammation in skin, which can cause redness and broken blood vessels," says Nazarian. "Ultimately, you'll see a much more even skin tone by washing it all off every night." After realizing this entire list was, in fact, accurate, I set out to overhaul my nighttime skincare routine. I asked a dermatologist and celebrity esthetician to run through each product I was using, critique it, and, ultimately, toss it and suggest a better option. Below, find all the products that made the cut and why they're great. I start out with a cleanser from Eve Lom, an indulgent all-natural balm that decongests, exfoliates, tones, soothes, and deep cleanses. I use it with a muslin cloth for extra exfoliation, especially after a night out, and wake up with the softest skin of my life. It's never tight and always hydrated. My first retinoid oil (I'm growing up! 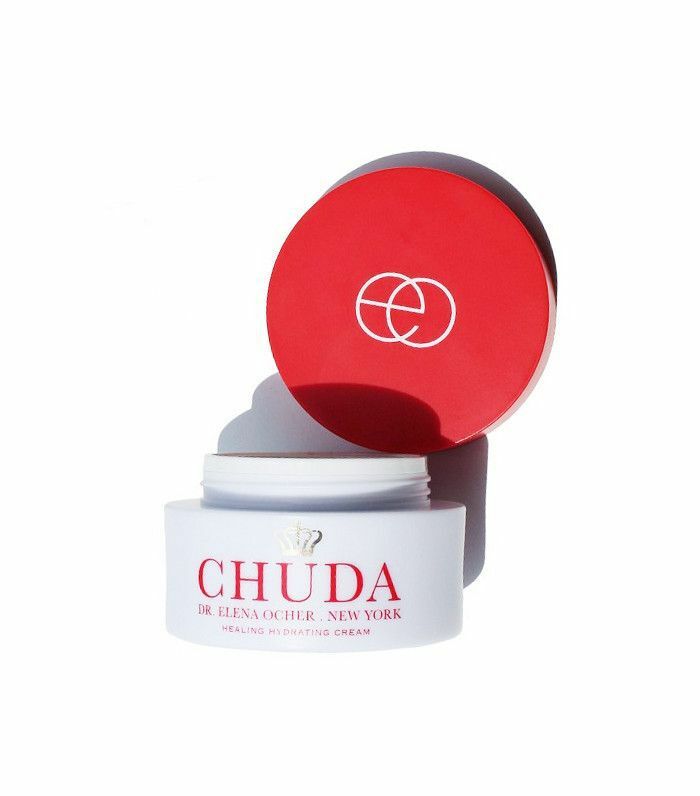 )—this silky formula improves skin plumpness, banishes redness, and tightens pores, as well as fights signs of premature aging like wrinkles and uneven texture, age spots, dryness, and dullness. The best part? It's a mix of blue tansy and chamomile essential oils to treat and nourish your skin at the same time. 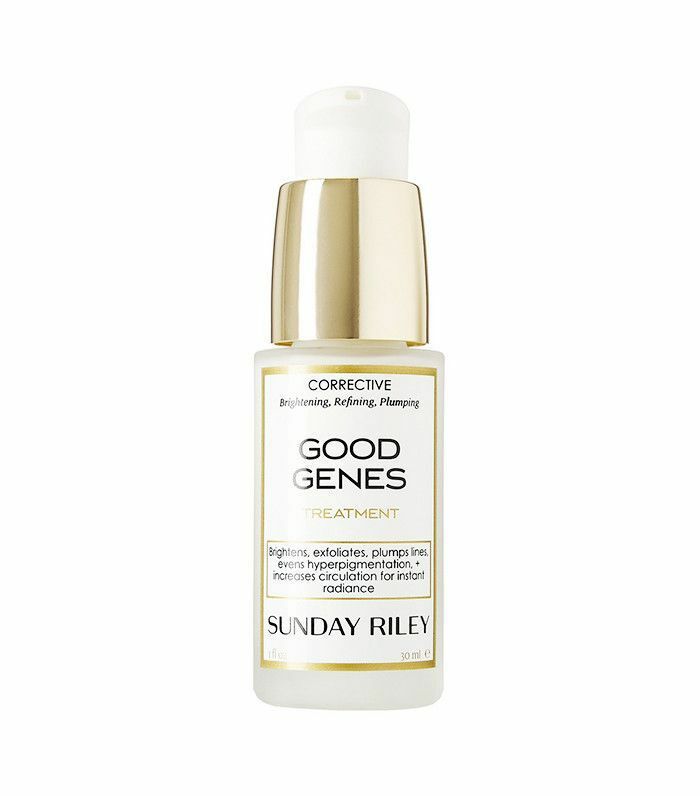 Next up, Good Genes—Sunday Riley's hero product with a cult following—is a clarifying, line-smoothing lactic acid formula. It exfoliates away all those dull, pore-clogging dead skin cells, and lets your fresh, glowy skin shine through. The last step is moisturizer, and this one is a doozy. It's thick, hydrating, and leaves my skin feeling suppler and bouncier than ever before. Because of its dense consistency, I might have to switch come spring, but it's my new favorite product bar none. Now, find the six moisturizing face creams beauty editors can't live without.